In this article we will talk about what chatbots are and all their advantages. It is widely known that one of the best ways for selling is online. Internet is full of online shops that offer their products or services in a constant search for increasing the number of their followers and loyal consumers. All this makes companies look for new strategies that will allow them to distinguish themselves from the competitors and offer the users a purchase experience that is every time more simple and pleasant. This is one of the many purposes of such a tool as chatbot. It is getting more and more popular and it seems it will become an excellent sales and customer service assistant in the near future since it is available 24/7. Now we will explain in more detail what chatbots are. Chatbot is a software that encourages human interaction through a chat with the aim of attending the customers and guiding them towards a better purchasing experience through the web page. Also, it provides better and faster responses to their needs as a part of customer service strategy. It is an advantage, since chatbots allow to offer a quick, personalized and better quality customer service to each online shop user and at the same time increase the customer satisfaction. This makes the users want to repeat the experience, talk about it and recommend it which will result in a higher number of sales. 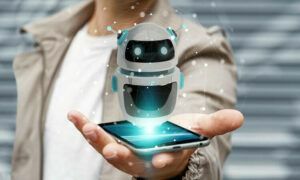 Implementing chatbots is not very complicated and there are various options that will also make this method quite cost-effective, taking into account the investment-benefit relation. This article gives a very clear picture of what chatbots mean for the development of a company. By using chatbots it is possible to increase sales of an eCommerce in a very simple and effective way. Until now, the most common manner to use the chatbots has been in confirming the sale to the user, guiding them through the payment procedure and inform them about the shipping process by sending them notifications about the fulfillment of each step. However, recently their usage has been employed as a part of the strategy for increasing conversions in three specific ways. Chatbots have had their boom in the eCommerce world thanks to their effectiveness and usefulness. Based on the users behaviour on the web page the bot is able to show them various products that are to their liking or interest. It is done by asking a series of questions or performing sequences of actions until the user finds what they have been looking for at that very moment. This tool allows the user to perform contextualised searches and at the same time stores the information gathered during the previous searches and this way anticipates their preferences during the future visits. All this makes the purchasing process easier and better and also prevents the users from abandoning the online shop without buying what they have been looking for. A client visits the shop, checks various available products and some other are put in the shopping cart, but he/she leaves without finishing the purchase. In these cases, a bot could contact the client after a certain time, may be one or two hours later, via a message and show her/him the products that were placed in the cart, and also offer them a discount if they decide to buy the products at this very moment. This type of strategies has got a very high conversion rate and almost always results in a significant sales increase. Most people value a lot a good customer service as part of the purchase process. And this applies not only to the material world, but also to the virtual one. Thus, it is not unreasonable to improve the techniques and strategies that are intended to make the clients feel comfortable and satisfied every time they visit the online shop. However, it is obvious that for small companies it is difficult to maintain a department that is dedicated exclusively to customer service support for constant resolving of their problems and attending to their queries. This could result in a problem for maintaining your customers happy, without mentioning that the experiences that generate more comments and get viral are precisely the negative ones. And here the chatbots come as a wonderful alternative to deal with this kind of situations. They could be programmed to guide the user when resolving simple requests or to gather the useful information for the customer service assistants that will let them get to know the situation before contacting the users. This way the whole process gets smoother and the user receives the satisfactory response quickly, just as they wish. Now that you know what chatbot is, we will give you some advice on how to get more clients. Tools that will help you to get more clients. There are a number of tools for chatbot implementation that are compatible with different eCommerce platforms such as Shopify, BigCommerce, Woocommerce and Magento. As well as Facebook Messenger and Chatchamp.io. Facebook as one of the most used tools for attracting the users. If your online shop operates in one of the already mentioned ecommerce platforms, you can link your account to Facebook so that the chatbot could send messages via the Facebook messanger. For example, the use of chatbots through advertising campaigns applications in Facebook Ads is growing every day. Performance marketing: a highly effective tool. In addition, there are digital marketing companies that help to get more clients, especially the ones that are dedicated to running advertising campaigns based on performance marketing. They focus on using different methods and technologies in order to achieve high performance and greater campaign profitability. These objectives are only possible to achieve by attracting a large number of customers. 1. It is carried out in a personalised way based on the previous assessment of the client. 2. The company gets visibility in the country’s most important portals as well as in the most used social networks. 3. Only the users with real interest to purchase a product or a service are impacted, what makes the campaign much more effective. 4. You pay as per achieved results. 5. While running the campaign, a constant monitoring is performed which also involves the client. It is quite certain that the technology nowadays offers more and better opportunities for small companies to be able to increase their visibility, attract more customers and have them well attended at all times. If you already have it clear what a chatbot is, you can use it as an efficient tool for your business.